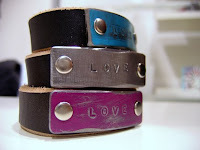 Teeny bit punk rock, eighties revival colors, promotes love not war. I approve. From Fosterweld.